Abia Poly Admission List – The lists of candidates offered provisional admission into the Abia State Polytechnic, Aba, National Diploma (ND) and Higher National Diploma (HND) full-time and part-time programmes for the 2018/2019 academic session have been released. This is to inform all the candidates that applied for admission into the Abia State Polytechnic, Aba, 2018/2019 National Diploma (ND) and Higher National Diploma (HND) programmes that they can now check their admission status. 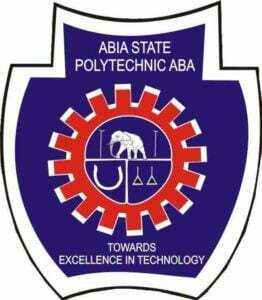 Abia State Poly ND and HND admission lists have been uploaded online. You can conform your admission status from the documents below. Abia State Poly Admission List. Congratulations to all the candidates that made it to Abia State polytechnic ND and HND admission lists for the 2018/2019 academic session.